Every year there is that one film at the Academy Awards that all eyes are drawn to. 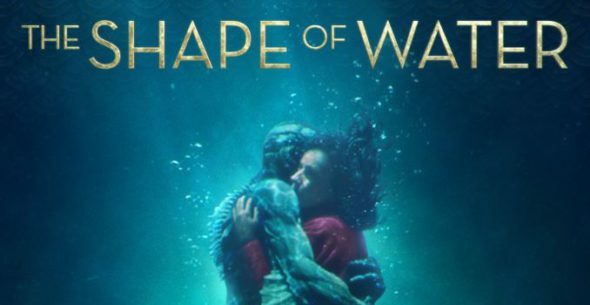 This year, with thirteen nominations, The Shape of Water was certainly one to keep a close eye on. In the end, the film earned four Oscars, which is quite a nice achievement, and now that the film is out on Blu-ray, we were quite excited to see for ourselves the reason why this film was so highly praised. The Shape of Water is set in Baltimore in the early 1960s, at the height of the Cold War. 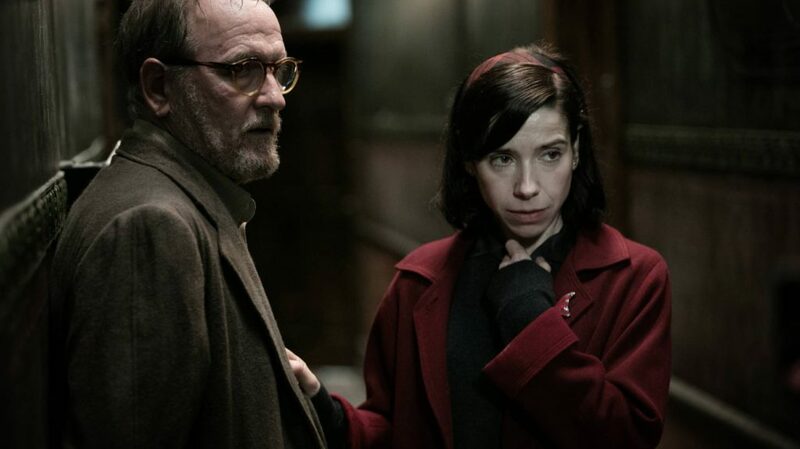 Elisa Esposito (Sally Hawkins) works as a cleaning lady in a highly secured government laboratory. She can’t speak because of something that happened in her past, when she was just a child, but she’s got some valued friends -Zelda (Octavia Spencer), her colleague, and Giles (Richard Jenkins), her neighbor – whom she can really rely on. While everyone thought it would be a day like any other, one day the security is upped even more, as a mysterious water creature is brought in for scientific study. Nobody really knows what exactly is going on, as the whole operation is top secret, but Elisa is charged with keeping the place clean, and so she manages to get a closer look at the creature. The creature seems to be partly amphibian, but partly human as well. Colonel Richard Strickland (Michael Shannon), who is in charge of the project of studying this Amphibian Man, didn’t manage to communicate with it much, but when Elisa, at an unguarded moment, approaches him, she manages to communicate with him through sign and body language, and the more time passes, the more comfortable he starts to feel in her presence. For her, it’s quite special too, because she feels like she has finally found a soulmate, someone who also can’t speak, which somehow forms a bond. The laboratory isn’t that kindhearted though, as all they want to do is examine the creature as fast as possible, as their findings might be quite helpful to stay ahead of the Russians in their effort to get man in space. Once done examining him, they decide it’s time for the Amphibian Man to die, but Elisa gets wind of the plan on time to come up with a plan herself, to save her soulmate. 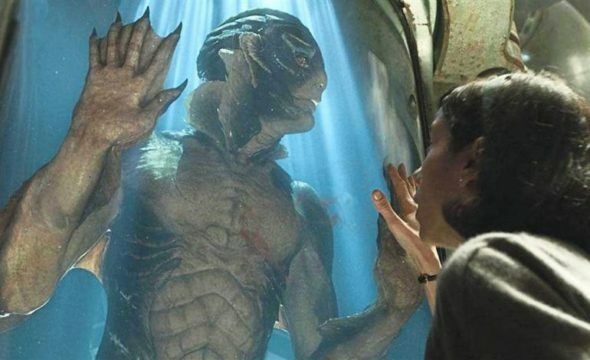 As The Shape of Water won four Academy Awards earlier this year, we were quite curious to find out for ourselves if it was truly worth all this credit. The story begins quite slowly, and takes you right to Guillermo del Toro’s fantasy. The pace of the story never truly gets very fast, which makes for an interesting dynamic, since the lead characters are both mute, so almost all of the atmosphere has to come from body language, the interaction between the actors, and of course the score. Luckily Sally Hawkins does a great job expressing her character without using a single word, which is quite an extraordinary achievement. As we just mentioned, Sally Hawkins does a formidable job portraying her mute character. We definitely understand why she was nominated for an Academy Award for best actress. Richard Jenkins, as always, was an absolute joy to watch as well, just like Octavia Spencer. With a cast like this, there really isn’t anything to complain about. If you decide to buy this Blu-ray edition of The Shape of Water, you’re definitely treated to a lot of extra content. Next to some insight in how the story and the film came to be, you’ll also get an idea of how the suit of Doug Jones, aka the Amphibian Man, was created and crafted. If that’s not enough already, you can also watch a masterclass with Guillermo del Toro, so there is truly more than enough extra content to explore. The Shape of water is a film that subtly yet surely mixes fantasy with reality, which is something you don’t see that often, but we could appreciate it greatly. If you’re looking for a film with a lot of story content, then you should probably leave this one alone, but if you don’t mind a slower pace, you’ll be surprised at the atmosphere a film can bring while using so few words. If you’re willing to invest your time in this one, you won’t be disappointed. Degrees Of Separation – Launch trailer unveiled!